“Be a business you’d want to do business with” is the golden rule that serves as the core of McCall Fencing. It’s our promise to provide top quality products to our customers and to assure an unsupassed level of customer service. We are a full service fencing contractor based in Gray, Tennessee specializing in large scale commercial and industrial projects, while serving the highest quality fence to residential customers as well. Family owned and operated with over 30 years experience, our dedication to quality and customer satisfaction sets us apart from our competition and has made us the fastest growing fence company in East Tennessee. We are the leading fence company in Kingsport, Bristol and Johnson City. As a second generation family owned company we have taken the name Factory-To-You to a new level by developing several buying opportunities direct with manufacturers and mills to maximize your dollar and ours. Many of the products we sell and install we simply cannot be undersold due to the factory buying power developed over two generations. 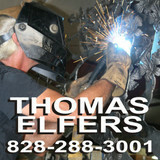 Call us today for a free estimate and let us show you the quality and savings of cutting out the middle man. 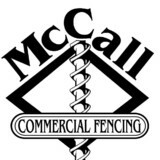 “Be a business you’d want to do business with” is the golden rule that serves as the core of McCall Fencing. It’s our promise to provide top quality products to our customers and to assure an unsupassed level of customer service. Your Marshall, NC fence installation and repair professional will work with you to create your ideal fence. 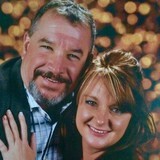 Find a fence contractor in Marshall, NC on Houzz. Narrow your search in the Professionals section of the website to Marshall, NC fence contractors. 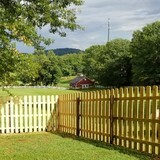 You can also look through Marshall, NC photos to find examples of fencing and gates that you like, then contact the professional who worked on them.